When it comes to saving for retirement, we always recommend that you stay at your job as long as possible to extend your financial runway and grow your nest egg. However, not every entrepreneurial endeavor fits neatly around a 9-to-5 employment situation. 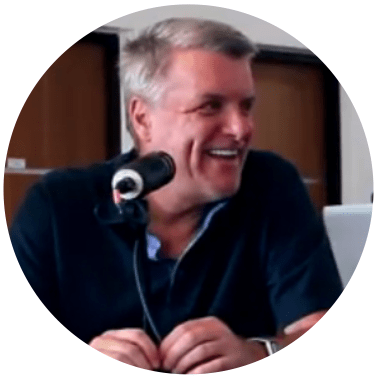 That’s why we recorded this episode, which gives you everything you need to know to get started with one of the most flexible side income models – coaching and consulting. 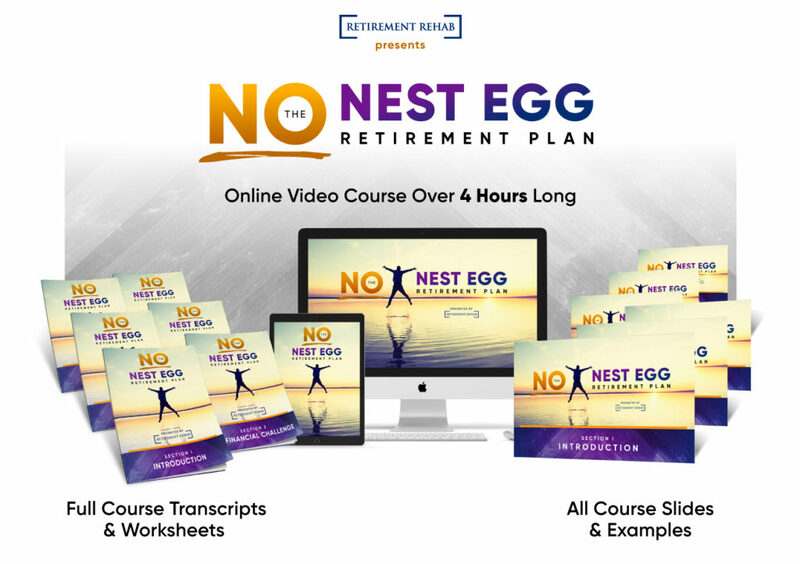 For people who are looking to earn additional retirement income on the side of their day job or establish an income stream that they can transition to in a full-time capacity, coaching and consulting is often a lucrative, natural choice to make. So, in this episode we’re covering everything you need to figure out what kind of coaching services you are most qualified to provide and what you’ll need to start serving your first few clients. 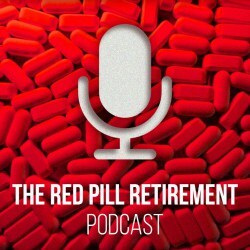 Welcome to the Red Pill Retirement podcast where we give you the raw unfiltered truth about retirement planning in the modern age, pensions and 401(k)’s are quickly becoming a thing of the past, so we’re here to share resources and recommendations that will help you create the retirement lifestyle you’ve always dreamed of. If you’re ready to take control of your financial future, we’re here to help. Let’s get started. 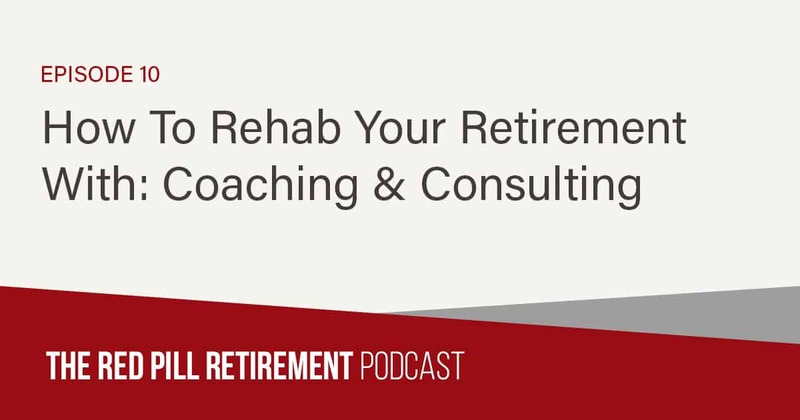 In this episode of the Red Pill Retirement podcast, Ian and I discuss how to get your start as a professional coach or consultant. For people who are looking to earn additional retirement income on the side of their day job or people who are looking to establish an income stream that they can transition to and a full time capacity, coaching and consulting is often a lucrative but natural choice to make. So today we’re talking about how you can identify what type of coaching services you are well positioned to offer, where you can find your first clients, what tools and resources you need to get started, and what you can expect in terms of time commitment and earning potential. This episode is full of actionable advice. So I recommend that you get something to write with because you’re going to want to take notes. As always, I’ll be back on the other side of the conversation to tie up any loose ends. So without further ado, let’s dive into my conversation with Ian. Hey everyone. Welcome back to the show, my name is James Sours and I am your cohost and I am joined as always by Mr Ian Bond. Ian, how are you doing today? James, couldn’t be better. It’s great to see you again and looking forward to today’s show. Yeah, we’ve got another great one, I say that every show, but that’s just because we keep pumping out the good content. I think today is going to be exciting for a lot of folks in our audience because this starts a series where we’re going to dive deep into specific steps that you can take to generate income on the side of your job or even if you want to do it full time to generate income indefinitely and sustain your retirement that way. We’re talking about coaching and consulting specifically today, but Ian do you have anything that you wanted to lead folks into? It looked like you had a thought there. Look, I think this is going to be a great topic. I think that I can’t think of anyone that I know that couldn’t coach if they wanted to. So I think it comes down to saying, look, if you’re a people person, venue can probably coach somebody else something, now if you don’t want to be with people then this is not probably the right thing for you. Yeah, totally agree, and to the same point, I don’t know anybody that is operating at the top of their game, elite athletes, Olympians, surgeons, CEO’s at all walks of life, the people that are tier one in what they do, they all have a coach, every single one of them. And so I think that what that indicates is market demand for coaches and if you are somebody who has knowledge, skills and expertise in a specific area, there’s somebody out there that can benefit from having a call, a conversation and learning from you. Right now I have two coaches that I pay money to for different reasons. Both of them I utilize for kind of specific outcomes and they both keep me accountable and it’s amazing, It’s Kinda like having a personal trainer when you know you’ve got to show up you kind of have that urgency that you’ve got to kind of do what you promised that you are going to do and I can’t imagine not, kind of tapping the cranial fluid of an expert and getting there faster at age 61. I don’t want to go spin my wheels. Absolutely. So somebody is thinking that they want to get into coaching or consulting and you know, we’ve already talked about how if you like people and you’re a career professional, you’re probably a good fit to be a coach or a consultant. But if somebody is saying, “Yeah, but I don’t even know what I would coach people on. I don’t know what I would consult people on.” How would you recommend that they get started finding out where they should be playing in that space? Well, I would say, you know, give me five minutes with you and I can help you. I think that there’s a couple things to think about, first of all, the biggest hurdle that people cross is I think that they have to be the smartest person on the planet and that’s just not the case. I have a nine year old son who is not the strongest swimmer, I’m certainly not going to be on the Olympic swimming team any time soon, but I can certainly help my nine year old son swim better. And I think most of us, if you’re just a couple of steps ahead of people, that’s actually what people are looking for because they don’t want the guru. The Guru is so far gone and so far ahead that while they may be inspirational, they know you probably can’t relate to them.So the first thing is you have enough expertise. The second thing I would say with regards to kind of what it is that you would do, you have to find the intersection of the stuff that people will pay for and stuff that you know well about. Okay. So what is that expert now? It could be professional things, most people consult in kind of the industry that they’ve been in and coaching as a kind of a wider feel there’s everything from spiritual healers and life coaches to people that coach on very specific skillsets, to people that kind of you would call tutors because they teach things like English as a second language. So there’s not a whole broad range of things, but you have to find what people are going to pay you money for. Yeah, absolutely. And you know, like you said, coaches come in all forms and functions. I mean there are people who literally just coach software developers on how to find their next job or negotiate a pay increase or something like that. I mean, there are, the niche can be as small or as large as you want to make it, it’s about looking in the mirror and saying what am I good at and what do people in the market have as pain points and problems that I can solve given my unique experience. Yeah. Let me just add to something that, because I actually suffered through this for a while, you don’t want to be all things to all people and there’s a great Pat Flynn’s saying that the riches are in the niches. Okay. So actually the tightest that you can get your proposition, you will find a tribe, you’ll know where to look for them and you’ll find them. And I think you want to bring it down and narrow it down, here we are talking to people who are behind the game in their retirement planning, who may not have anywhere any nest egg at all, that was certainly the situation that I was in coming up late in their career, possibly facing age … we’re way down the funnel in terms of kind of qualifiers to be talking to people about and if that’s you and you’re listening to this podcast, you’re in the right place. If we were to talk about some broad topic, you’d probably find it uninteresting. So I would say try and drill down as tightly as you can to find that real pain point. And with regards to the kind of thing you’re going to coach or consultant on, I really do think that you want to have something that I would consider the solution is similar to an aspirin and not a vitamin. What I mean is if in the middle of the night, this would be something that would annoy someone so much that they would get out of bed and go to the store to get an aspirin, that’s the kind of analogy I would use as opposed to something that would be a good to have, a vitamin. Yeah. So it’s all about severity of the pain and urgency of the pain or urgency to take care of it versus something that’s more proactive, like I take vitamins because it supports my health and I’m being proactive but it’s not really a big concern for me. You want something that somebody wants to get solved or taken care of right now and that’s where you want to insert your coaching or consulting offering. Is that sound right? Yeah. The more urgent, the more money. Crank those rates up. Maybe before we go too much further, let’s clarify because I think we’re going to use the term coaching and consulting interchangeably throughout this episode and in my mind, the main difference between those days coaching is more typically more one to one, I am coaching Ian on specific things about his business or his life or his fitness program or whatever. Whereas consulting is like, I may be a consulting an individual, but the implications are for an entire organization or an entire team or something like that. I think I generally agree. I mean, you think of consulting is more in a business environment, and you think of coaching more on a personal level. I suppose you could talk about getting consulting advice on a financial matter, but it’s six of one half dozen of the other. I think we know what we’re talking about. Yeah. And I think maybe additionally consulting might be a little bit more on the execution side, like I’m going to give you a plan and help you do it, whereas a coach might be, I’m just going to help you with the thought process, the mentality, here is a plan, you go do it and then come back to me and tell me how it went and we’ll refine and go from there. So maybe that’s a slight nuance, but maybe that’s a personal opinion that I have. I think maybe that’s a good Segway into if we’re talking about coaching and consulting, what value can you add as a coach or consultant to your clients? So what kinds of things do you bring to the table or can you bring to the table that make it worth it for your clients to pay for your time and attention and energy? And then how can you communicate that value to a potential client? I think you have to think really hard about that. You want to be as laser focused as you can because people pay for results, they don’t pay for advice, they pay for results. So you want to be focused like a laser on the result that you’re going to deliver. Now it can be something that’s ongoing, okay, and that’s what I do because the world is constantly changing, but you’re always focused on kind of what is the next result that you’re aiming for with someone, and they should have real clarity about it if there’s a conversation between a coach and a client and the client doesn’t really know what the result is that they’re aiming for, that’s problematic because people pay for results. Yeah. And I think they’re not just paying for your time is the important point here is, getting on the call is not enough, you have to bring something more to the table, you have to say if you come on as a coaching client for me, what I am going to do for you in the first session is take you from where you are right now and you’re going to walk away with a six month marketing plan that you can go execute on, like pretty tangible. Yeah, I couldn’t agree more you. That just has to be the kind of framework that you’re talking about, and it’s all about the results, that’s why pro athletes do it. And that will also respond to you and sometimes you have to fire people because they wont’ respond. Yeah, and that’s an unfortunate outcome but you do have to stick to your guns when that happens. That’s part of what makes a good coach is if you’re not willing to hold somebody to the fire for the commitments that they’ve made then you’re not doing your job and you’re not being effective as a coach. We’ve talked about how folks can figure out what they might have to offer as a coach or a consultant and we’ve talked about how they can communicate that value to potential clients so maybe the next place to go is where would you recommend people go to find their clients? They know what they want to offer, they kind of know the space they want to play in but what kind of ponds can they go fish in to find a coaching client and then how do they approach those people and suggest that coaching service as an option for them? Well I’ll give you my favorite one and then I want to hear your favorite one, okay. My favorite place to go is called Amazon.com. What you do is really simple. You go to Amazon, whatever the topic is, find the book, look at the chapter titles. That will tell you what people are interested in. If you can find a half a dozen books and get a spreadsheet out and just copy, you don’t even have to buy the books although I would recommend you buy the books but just find what the chapter titles are, you’ll find out what people are interested in, what they’re going to pay for I bet. What’s your favorite? I have one that’s very close to that. What I recommend is folks think about the industry that they want to focus on so maybe that’s healthcare and then go to the websites for the big professional conferences in that space. Then look at the conference agenda and all of those session topics are all either the solution to the pain point or the pain point itself that people in that space are experiencing and then you can use that to reverse engineer your coaching offering. A lot of times you can even find the deck or the video recordings of those conferences after the fact and they’re much cheaper than actually attending in person so you can even go a little bit deeper. Like you said, you really just have to copy the titles of the sessions and you’ll have an option there. One other place that I love to recommend people go look is just hang out in relevant niche communities online. Find a niche community online and then look at the people that are complaining. If you want to coach freelancers on how to build a better freelance business go to some kind of online community where freelancers hang out and listen to what they complain about, “I don’t know, should I be a LLC or a S Corp and pay myself a salary?” Or, “What accounting software do you use, they all look the same to me.” All those things are places where you can inject yourself and say, “Hey, I’ve been freelancing for 15 years and I went through all of that, I have all the answers. I have a system that works for me and I’d love to share it with you as a coaching client.” What do you think about this set up? I couldn’t agree more. I go to the Facebook forums and I’m a member of a number, as I mentioned, a number of E-commerce Facebook forums and find people all the time that are looking for someone whose just a little bit ahead of them and where I can add value I offer a lot of free advice and naturally approach me individually and I think it’s a wonderful place. Also, I mentioned for some people Read It works really well. There’s some discussion, you can get Read It in some of the private forums like that too but forums are an excellent place to be. One other place that just came to mind that people love to, I say love to complain but they love to voice their challenges is Twitter. You can search by hashtag or a key word on Twitter and people are going to say, “Ah, I’m so frustrated trying to find a project management system that works for me.” Or, “I just keep landing problem clients that don’t understand the deliverables of my scoping engagement.” Or something like that and then you can inject yourself there and say I’ve run into the same problem, here’s an article I wrote, I also do some coaching if that’s something you’re interested in. Yeah, I would just caution people that I think what you want to do when you do figure this out is you want to figure out what is the center of the fairway where the bulk of the thinking is and the bulk of the advice is and what is going to be the differentiator that you bring to the table, what’s the different perspective that you’re going to bring to the table. Keep an eye open for what is the common wisdom and how you would contrast what the common wisdom to what you’re providing. Here we talk to people that don’t have enough money for retirement and we’re not in the save your way to prosperity bucket. There’s not enough time to invest for most of the people that would care about the Red Pill Retirement podcast. 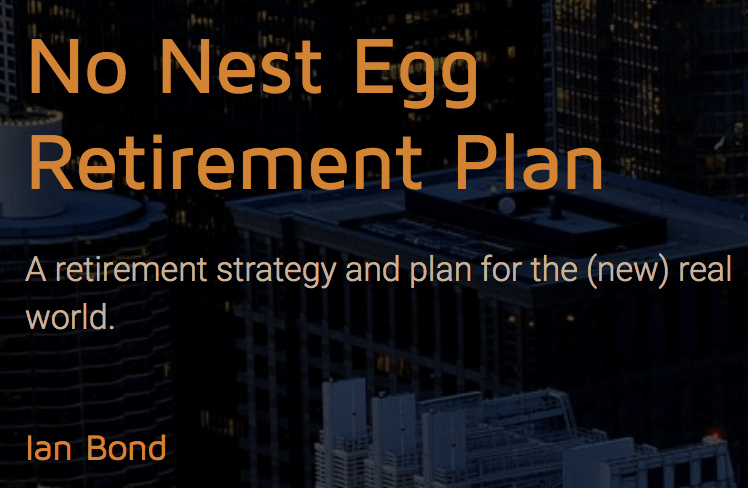 Here it’s all based, not on the nest egg, it’s the no nest egg retirement plan. This is all about cashflow, this is all about creating money outside of your day job which will ultimately sustain you potentially when your career ends or if you choose to end your career will be something that you’d love to do when it ends. You want to be able to have the alternative spin on things and that’s what you want to look for too. I think a great way to do that is once you figure out where you want to play, let’s say you worked in HR your whole life and you want to be a career coach, just Google career coach and look at the first three or four pages of results and start capturing the websites of those other career coaches out there. If you lay those websites out next to each other, let’s say you lay five out, I bet three of them say pretty much the exact same thing and then the other two might have a slight tweak to it. If you can find a differentiating offer or you can focus on a sub community like, I am a career coach for software developers who are looking to leverage their current salary to get a higher one at some other company, boom, that is a niche right there. That’s kind of an evolutionary process that coaches can go through when they’re getting their start. No-one want to talk to somebody who has broad experience, everything is all about proper segmentation, just in every industry. I don’t care if you’re in the banking and finance industry like I’m in, your legal practices are segmented by the disciplines for the various industries they [inaudible 00:18:05]. Investment banks, you can go industry after industry, it’s the same way and it’s exactly the same way in coaching. The person that the elite athlete that the running back is looking for is probably someone that has the skillsets and has probably been a running back or only coached running backs. That’s the way I would think about it in using a sports analogy or a sports example. Yeah, there’s a reason that some of the best athletes end up retiring and becoming coaches because one, they still love the game and they can’t get away from it and they want it to be a part of their life but two, they have a unique experience and if I am an inspiring NFL running back and there is a team that has a coach that’s a former NFL running back who’ll be the running back’s coach where do you think I’m going? Where do you think I want to be? I want to learn from that guy because he’s a hall of famer. He was one of the most elite running backs ever and I want him to coach me so I can achieve the same results. That’s exactly what we’re talking about but just in a business setting. One of the untold things in this results category that we were talking about is the whole mindset issue. Someone whose been in those shoes knows what’s going on in their head. I will tell you when you know that you’ve found someone that’s been there before and they know what you’re thinking about and they can put themselves in your shoes and they connect with you, you know you found the right person. Yeah, and there’s also a reason that when you graduate medical school you don’t just become a doctor, you go through residency and you shadow other surgeons. You look over their shoulder and they say, “Hey, when you come in here for the first time you’re going to want to do this but that’s going to cause a problem and here’s what you do instead and here’s my method for it.” That’s just a form of coaching. We’ve just systemized it and we call it a residency instead of coaching but that’s really what it is. Well, and by the way, the first time a young physician has someone die on the table I’m sure it’s an older physician that puts their arm around them and says look, this is what happens, this is what we deal with in our chosen profession. Fortunately that’s not my profession but that’s the kind of situation that you need to find. It’s something where you can anticipate what the person that you’re going to be talking to, what they’re going to be going through next. I think that’s a great point because it’s not just about training and teaching, it’s about that support system and the accountability measures that we talked about. We talked about how to find your niche, we talked about where to find clients and how to approach them, maybe we’ll get a little bit more tactical in how do you get your start? What kind of tools and resources do you need to get started? I know it doesn’t take much but maybe talk about what you use, because I know you do some coaching or what you recommend other people use to get started quickly. We chatted about this a little bit before and there are a number of high ticket courses that can help people and I have not used the high ticket courses because I’d gone the other direction which is what we talked about which is actually drilling down on what are the results that people are looking for. I think I figured out those things in a couple of different areas where I coach people. One is from my professional work which is what we’re talking about here and having gone through this I think I can coach people and anticipate the problems and I certainly have walked in their shoes. In the E-commerce world we have done the same thing so we’re just a little bit ahead, a few years ahead of somebody whose not done anything so I haven’t done the big ticket courses. I suppose that if you were really kind of lost and wanted to start at ground zero you could spend a couple of thousand dollars. I don’t think that they would help you necessarily find the perfect niche. I think that you can do that, in our community we have people doing that every day and certainly not the $2,000 one time course mode at all. I think it’s looking deep within, using this framework around what is the result that you’re going to deliver people, thinking of the three or four or five steps it’s going to take to get there and then scoping it out, putting it on paper. Once you’ve been able to find a few people that will actually send you money for it then you can take that money and you can invest in a presence like a website and other things that might attract people, ultimately create everything from initial offers for people to buy all the way to very high ticket offers. There’s a whole food chain of things you can do. The first thing I think you want to do in order to prove your concept if find people who will give you any little bit amount of money to pick your brain on some topic that you can reasonably help and figure out where that’s going to go. Then, maybe that expensive course makes sense. So, if you can see how you can improve your coaching process based on somebody else’s, rather than taking that as gospel from the start. Yeah, I think absolutely what you want to do is start to get involved in trying to scope out where you think you could add some value for people. And then come up with what the results are that you would be able to deliver to people, scope those out in a document. Talk that through, see if it makes sense. When you can find people that will actually pay for that, then you can develop your presence. And then ultimately to turbo charge your efforts, you’ll figure out what you need to get to the next level. Maybe you’re having problems attracting clients. Maybe you’re having problems developing your sequence of offers. But you can then kind of like a laser, focus on where you need help as opposed to throwing a whole bunch of money at an all in comprehensive coaching program that is not really going to be niche focused, it’s going to be very generalized. There aren’t niche focused coaching programs really that I know of for most people. So what we’re talking about really is validate your concept first, and then go for that course to figure out how to process, systematize it, make your processes, and scale it up from there, so that you can increase your earning potential. I think maybe that’s a good place for us to tie things together, as I think people are listening at home and saying, “All right, great. I love all this, so what’s in it for me? What do I stand to earn as a coach? And what is my time commitment, and my energy commitment, and my resource commitment that I am sacrificing to generate those earnings. And how do I do that maybe in parallel with the day job that I already have?” And I know that you have that experience, Ian, so what thoughts do you have around that? Well, you know, the rates you get are directly dependent on the results that you deliver. In general, people that do things in the B2C space are less well paid than people that are doing things in the B2B place. 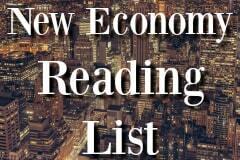 And the reason for that is really very simple, it goes back to Robert Kiyosaki’s stuff. When you’re selling to people and they’re paying out of their own pocket, they’re going to be stingier than if you’re paying to somebody who’s running a business, and they can use it as a write off. And that’s generally true in most things in this world. But good high end coaching is something that … the sky is the limit. So, I would hazard a guess to anyone listening, you can do everything from tutor people in English to do very sophisticated coaching that’s $10,000 or more for a year, with very defined parameters where you have very little one on one. You can do group coaching, one on one coaching. You can … the number of different iterations are really unlimited. So you can find things that kind of fit the lifestyle that you want to have. You can find things that fit the way the results work in the area that you’re coaching. And kind of figure it out. But I would say early on what you want to do is do a fair amount of one on one coaching so you get direct feedback, and are able to attack what is on people’s minds. And then ultimately take that and spin that into something you can more broadly apply. So, err to do more one on one coaching early on, and think that you’ll probably do less of that later. Yeah, and I think what you just said is a great summary of why of the three buckets that we’re going to talk about, coaching, consulting, freelancing, and ecommerce, coaching might be one of the most attractive, because the barrier to entry is the lowest. The earning potential is still uncapped, and you can scale it up or down to fit your specific needs. It doesn’t take a whole lot of tech, and you already have the expertize. So, I think that’s the whole reason why we’ve put this episode together today, is because this is a great way for folks to get started and explore entrepreneurship kind of passively or on their own, at their own discretion. And then if it’s not a good fit they can try something else. But it’s easy to get started, it’s easy to figure out if it is the right fit. All you’ve got to do is take that action today. So, maybe before we wrap up here Ian, do you have any parting words for the folks at home? I know we’re running short on time, we could go another 30 minutes on this, and maybe we will in a future episode. Look, I think we could probably do a whole other 30 minutes on coaching, I think it’s a wonderful place. What we’ll do is we’ll go get a couple of coaches to come on the program and get people a chance to hear a couple of different flavors. But there are seven-figure coaches out there, and there are people who just do it part time. So, it’s a wonderful place for someone to start. All right, you heard it there, committed, we’re going to get a couple of coaches on in a future episode. We’ll talk about specifically how they got their start, what their systems look like, and how they run their coaching business maybe even on the side of a full time day job in a traditional office setting. So, looking forward to those conversations. Ian, thank you so much as always for your time and your insights today. We’ll look forward to seeing you on the next episode, and those future episodes about specific coaching examples. James, it’s always a pleasure to talk to you, thanks again for being the host today. Same to you, take care. All right folks, so there you have it, that wraps up my conversation with Ian Bond, who is always good for a few knowledge bombs every time we talk. But before we let you go, let’s quickly recap what we talked about in today’s episode. First, we talked about the importance of and the demand for coaching services in the market. We talked about how all elite performers, including athletes, surgeons, and CEOs have some kind of a coach that helps them get the best performance out of themselves every time they take the field, enter the operating room, or hit the boardroom. We also talked about how to find what type of coaching you are qualified to provide, and what we talked about there was how you should take your skills, your interests, your personal experiences, and combine them with existing pain points that are in the market, and figure out where the overlap of the two happens. And use that to dictate where you start to explore what kind of coaching services you can offer. We also talked about how you should prioritize the pain points that are both severe and urgent. So, something that people want to solve very quickly, or something that is very painful for them in their business. And that is where you want to focus your coaching efforts as you get in front of prospective clients. Next, we talked about how to establish your offering and find your first clients. We shared a couple of tips and tricks like reverse engineering your coaching offering by searching Amazon that are about the same kind of topic or space that you’d like to play in, looking at those chapter titles, and letting those dictate the coaching services that you offer. We talked about a similar strategy that you can use by finding the professional conferences that exist in the industry that you want to focus on, and looking at the title of the individual sessions that are on the agenda. Those can often be a great indicator of pain points in the market, and places where you can do more research for how you might be able to deliver value as a coach or a consultant. Next we talked about how you can tap into existing networks or communities where people are complaining about business problems that they have, and use those conversations as opportunities to open the door for potential coaching clients. The next big topic we talked about was what it takes to get started, and the interesting point here is it really doesn’t take much. You can get started as a coach or a consultant with a simple Word document that outlines your offering and what people need to invest to get the results that you’re promising them. A conference calling solutions, like Zoom or Skype. And some way to accept payment from them, whether that’s PayPal, or Stripe, or even Check. It really doesn’t take much to get started, all you need is the skills, expertize, potential clients, and a way to communicate with them and deliver the value through conversations, accountability, and meetings. And finally, we talked about what you can expect to earn, and what you can expect to sacrifice in exchange for those earnings. And the fact of the matter here is that earning potential for a coach or a consultant is unlimited, and the time commitment can be as much or as little as you want, which I think when you take that last point in combination with the [inaudible 00:32:40] that we covered right before that, it pretty much sums up why coaching is an excellent option for someone who is looking to establish an additional income stream as a way to catch up or accelerate their retirement savings. So, I love this topic that we talked about today. As always, we’ll link up any tools or resources we discussed in the show notes, and those are available at redpillretirement.com. I hope you enjoyed our conversation, and if you haven’t already, please consider subscribing, sharing with a friend, or leaving us a review in your favorite podcast directory. So, until next time, best of luck in all that you do, and we’ll look forward to seeing you on the next episode of the Red Pill Retirement Podcast.